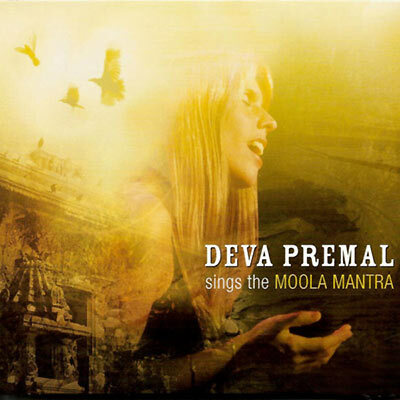 Deva Premal offers a 50 minute meditation on the beautiful Moola Mantra – a celebration of sacred male and female energy – discovered by Deva and Miten during their inspirational visits to the Oneness University, in Chennai, India. Produced by Ben Leinbach, the Moola Mantra meanders like a sacred river through a lush landscape of sitars, bansuri, dotar, grand piano, tablas, cello and string quartet, with Deva’s golden voice leading the way, flowing finally into an ocean of silence. Special guest musicians include: Miten (vocals), Jai Uttal (dotar), Manose (bansuri), Debopriyo Sarkar (tablas), Kit Walker (piano), Benjy Wertheimer (esraj), Peter van Gelder (sitar), and Moses Sedler (cello).